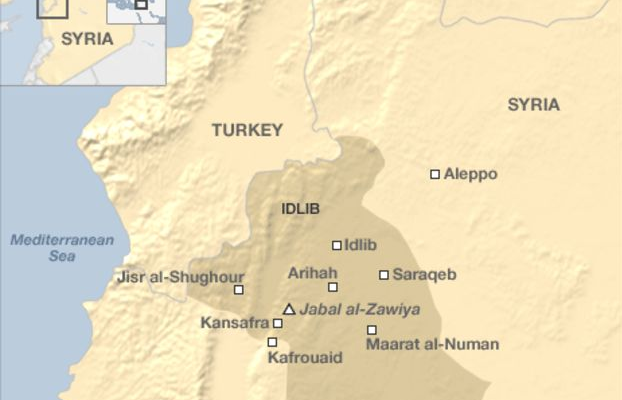 According to the information confirmed by several channels on May 1, aided by Al-Jazeera’s professional crew including cameraman Samir Samarin, Hayat Tahrir al-Sham militants and the so-called ‘White Helmets’ have recently filmed a staged, fake movie of an alleged chemical attack against civilians by the Syrian Army in Saraqeb village not far from Idlib. Around 30 fire-trucks and ambulances, as well as local residents with children from an Idlib-based refugee camp were engaged in the filming of the movie. According to FARS News, the White Helmets in Idlib are paid around 1,000 Syrian pounds per clip. For better trustworthiness, the filming crew burned tires to produce thick smoke. The shooting was conducted from two spots (near the oil factory and a TV tower) from different angles using a drone. Such filmings took place in Arihah and Jisr al-Shughour towns. The footages will be published in 15 days after a provocative shelling of the SAA positions aimed at causing retaliatory measures.